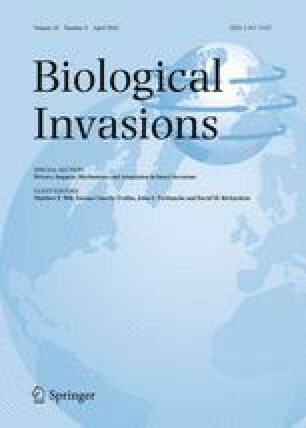 Exotic biological control agents: A solution or contribution to arthropod invasions? Biological control is a valuable and effective strategy for controlling arthropod pests and has been used extensively against invasive arthropods. As one approach for control of invasives, exotic natural enemies from the native range of a pest are introduced to areas where control is needed. Classical biological control began to be used in the late 1800s and its use increased until, beginning in 1983, scientists began raising significant concerns and questions about nontarget and indirect effects that can be caused by these introductions. In recent years, similar issues have been raised about augmentative use of exotic natural enemies. Subsequently, international guidelines, national regulations and scientific methods being used for exotic natural enemies in biological control have changed to require appropriate specificity testing, risk assessment and regulatory oversight before exotic natural enemies can be released. National and international standards aimed at minimizing risk have increased awareness and promoted more careful consideration of the costs and benefits associated with biological control. The barriers to the implementation of classical and augmentative biological control with exotic natural enemies now are sometimes difficult and, as a consequence, the numbers of classical biological control programs and releases have decreased significantly. Based in part on this new, more careful approach, classical biological control programs more recently undertaken are increasingly aimed at controlling especially damaging invasive arthropod pests that otherwise cannot be controlled. We examine evidence for these revised procedures and regulations aimed at increasing success and minimizing risk. We also discuss limitations linked to the apparent paucity of post-introduction monitoring and inherent unpredictability of indirect effects. This paper had its origin at a workshop on “Drivers, impacts, mechanisms and adaptation in insect invasions” hosted by the DST-NRF Centre of Excellence for Invasion Biology in Stellenbosch, South Africa, in November 2014. We thank Drs. M. J. Samways, J. Gould and R. Van Driesche and two anonymous reviewers for valuable suggestions on an early version of this manuscript.